Aon is out. Chevrolet is in. Sounds like a football (soccer) player substitution, and, in a way, it is. Starting with the 2014-15 English Premier League season, the U.S. automaker’s bowtie logo and name will be front and center on the jerseys of Manchester United Football Club. 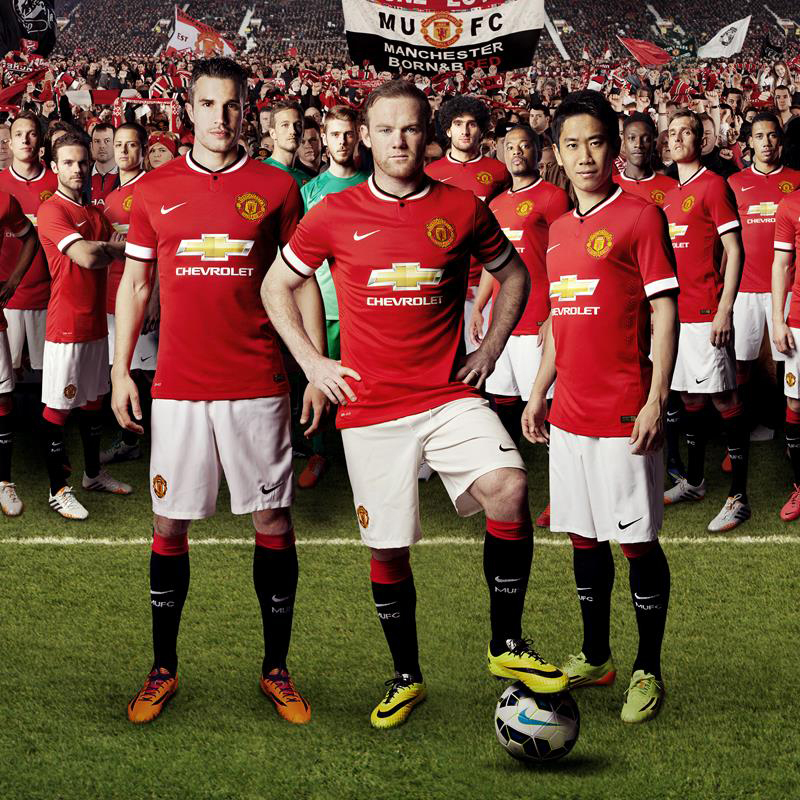 With a seven-year deal, Chevrolet replaces Aon’s name on both the Red Devils’ home and away jerseys. Aon, an insurance broker based in London, has signed up to sponsor Man U’s training kit and grounds. “Manchester United has more than 659 million supporters around the world, and we want them to know that we march side by side with them,” said Tim Mahoney of Global Chevrolet. The Chevrolet deal is worth about $559 million total to the EPL club, according to The Washington Post, about $70 million of that during the first year of the sponsorship. Ironically, Chevrolet has announced that it will stop selling new Chevrolets in Europe by the end of 2015. Several upcoming events will shine the spotlight on the new partnership. On July 23, Man U will play its first match in the new Chevrolet-branded jersey against Major League Soccer’s LA Galaxy at the Rose Bowl in Pasadena, CA, in the Chevrolet FC Cup. That appearance will be followed by matches against AS Roma on July 26 in Denver, CO, Inter Milan on July 29 in Washington, D.C., and Real Madrid on Aug. 2 at Michigan Stadium in Ann Arbor. The club’s new manager, Louis van Gaal, who coached the Netherlands to a semi-final berth in the World Cup, also will debut at the Rose Bowl match. 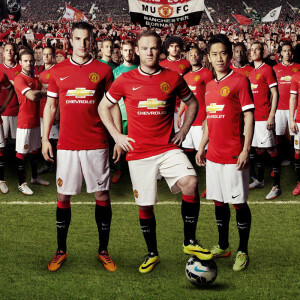 Man U, with its new jerseys, will open its EPL season at home on Aug. 16 against Swansea City FC. The football club is owned by the Glazer family, Floridians who also run the Tampa Bay Buccaneers.